Last summer I was able to momentarily subdue my frugality and paint thicker in oil. 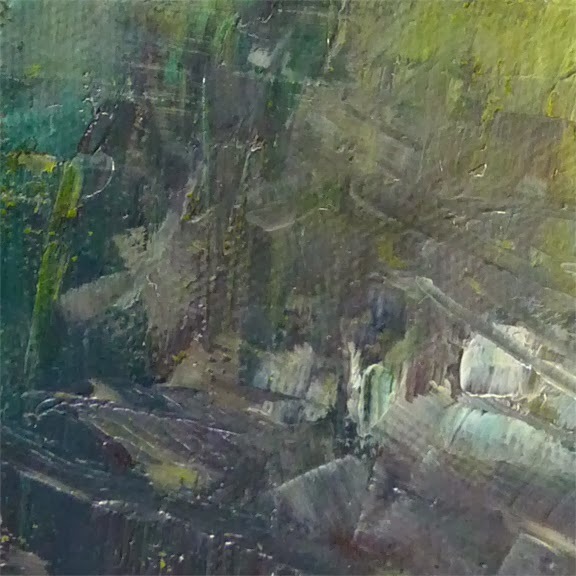 That exercise produced this 8x6 inch painting that was set aside to dry. Above are two detail shots of the texture (click to enlarge)...yum...I love it. I just took inventory of my tubes of oil paint and though I think oil has a very long 'shelf-life,' what I have on hand really doesn't have to last me the rest of my life. 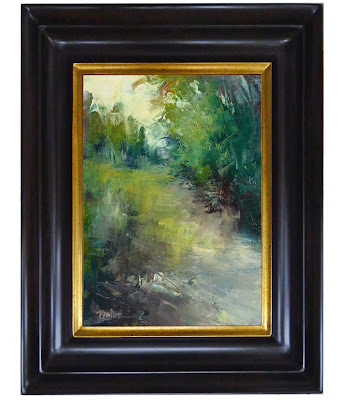 I will try to loosen up and be more generous with it as I was in this piece, "In This Moment," 8x6 inches. 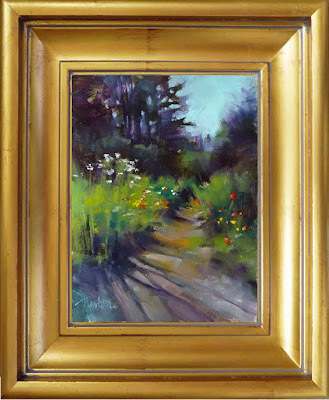 Last year at about this time, I painted a 7x5 inch pastel color study for a larger work tentatively titled "Dappled Path." 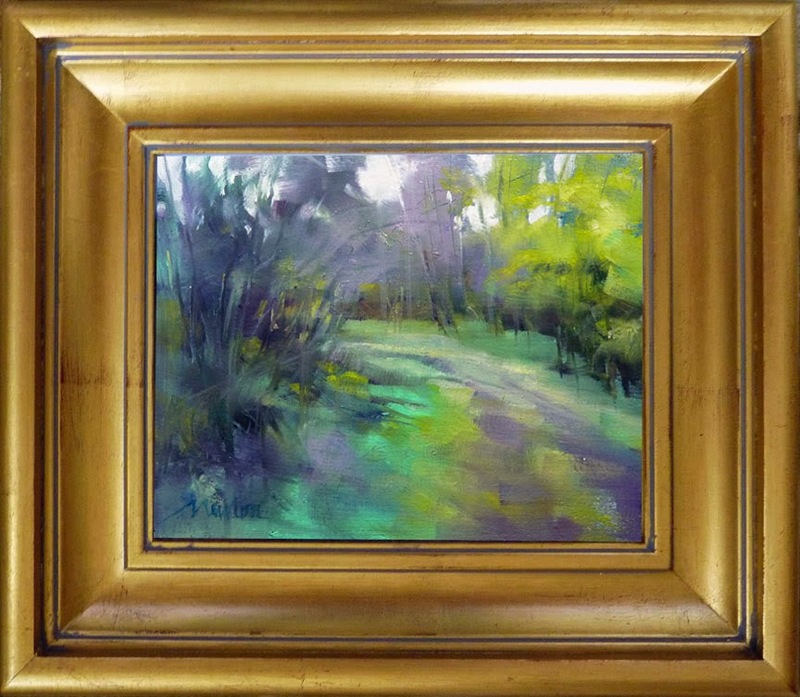 The color study, "CS for Dappled Path" was sold on the Daily Paintworks Auction and went to a new home in Sweden. By the time I finished the larger painting, it was renamed "Sunfall" and it went to the corporate art collection of the Puget Sound Blood Center in Washington. 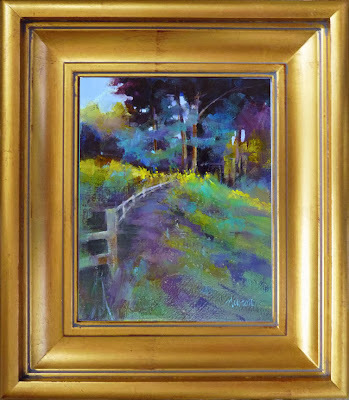 Then, an art patron expressed interest in having me paint the scene again as "Sunfall II." Once again, I started with a color study, this time in oil, a little larger (8 x 6 inches), with bolder color and a different mood. Today I came across that color study and I will post it, unframed, on my Daily Paintworks Gallery tonight. 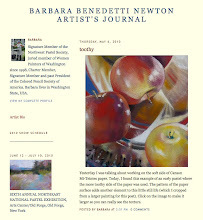 Well...yes, I'm on a sabbatical but maybe it isn't a painting sabbatical as much as it is a pressure sabbatical. Until we finish our house building project, I'm giving up painting pressure. 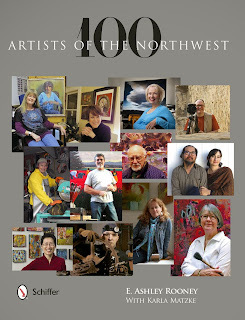 My galleries will be receiving fewer new works from me for awhile and I won't be entering juried shows. That takes the pressure off for painting larger pieces. 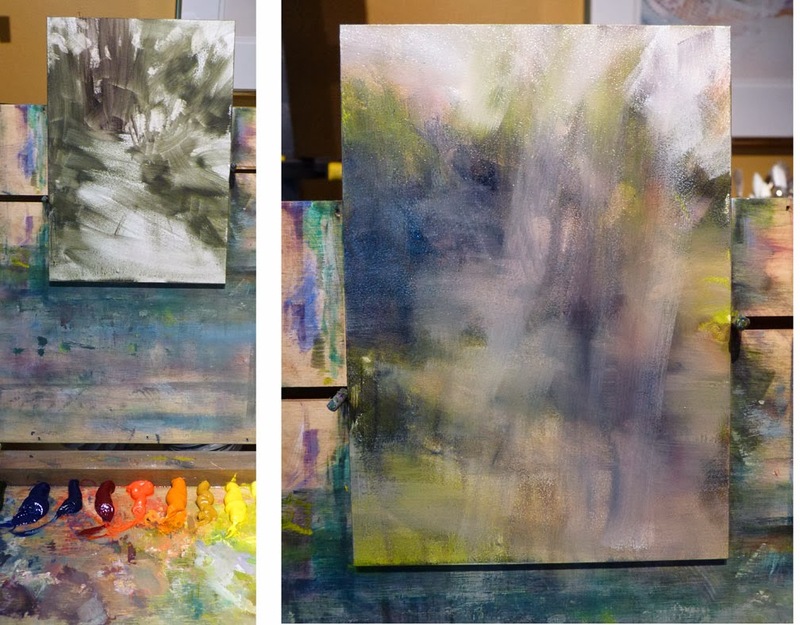 However, today I came across a few 7x5 inch oils that I started earlier in the year. And, because I'm taking art supply inventory now, I had to handle each tube of oil paint. Before I knew it, I found myself squeezing out a basic palette and PAINTING on one of the little foundations. Very fun! 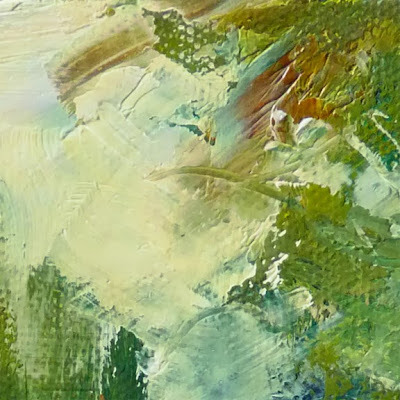 Though the finished painting is small (7 x 5 inches), I consider it a finished work rather than a sketch or color study for a larger work. 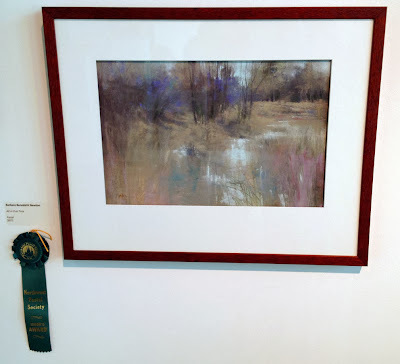 Many thanks to juror Casey Klahn for recognition of my work, "All in Due Time" in the Northwest Pastel Society's 2013 Members' Exhibition at the Schack Art Center, Everett, Washingon. The show runs to December 28th. This is one of the first pieces from my "mind's-eye memory" series; it is especially meaningful to receive an award for this new direction in my work. Congratulations to all the award winners! First, it was pulling out all those old colored pencils, whispering the names and numbers to myself while sorting them, and then letting them go - passing them on to other artists. Then, yesterday, I selected one colored pencil drawing ("All Things Considered") from garage storage to post on my Daily Paintworks Gallery for sale. 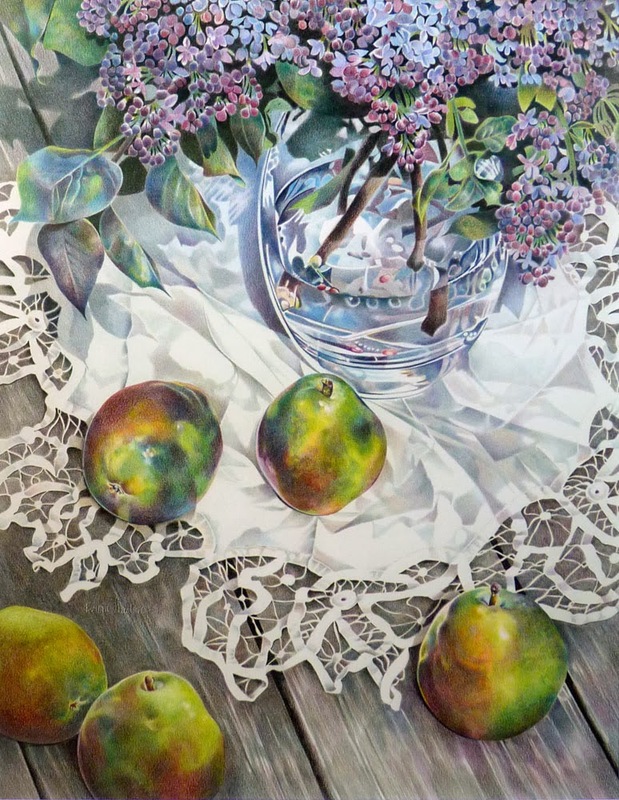 Today, I had the opportunity to enter these three large colored pencil paintings into a local show. I can hardly believe these are mine. Such detail, such CLEAN work. I'm falling in love again with my colored pencil art. 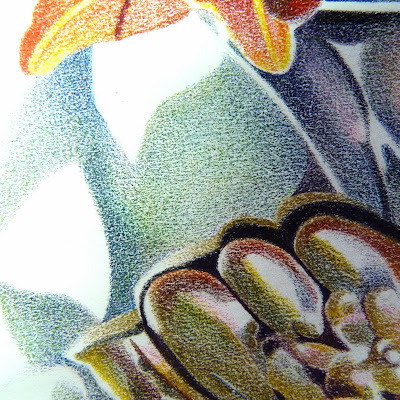 This small detail is from one of my colored pencil paintings. My technique was slow and tedious. I used a sharp point, light touch and very small circular strokes. It was not unusual to have 80 hours into one painting. 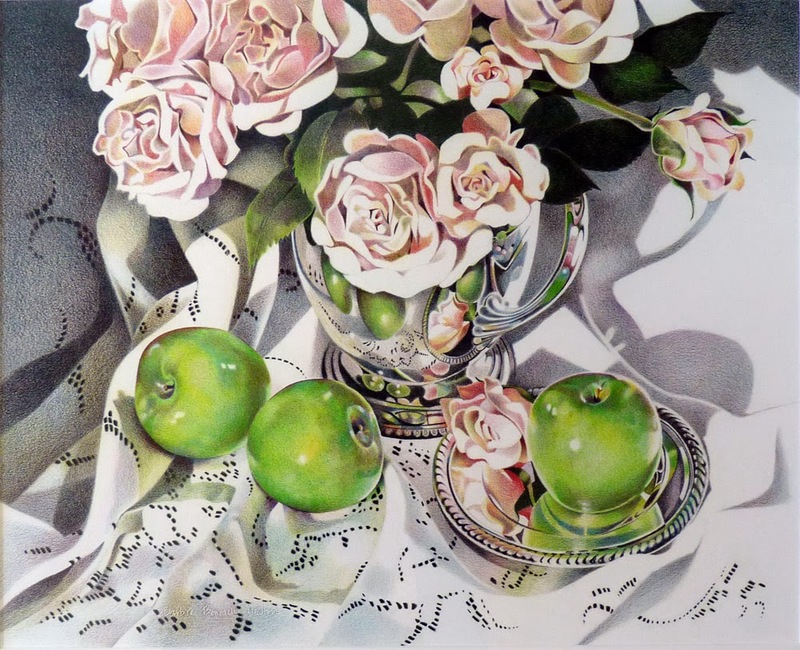 Now, when I look at the art from that time, I am very pleased with the work but, all things considered, I don't have 80 hours to spend on one painting so it is a good thing I moved on to a faster medium! I have to find a new home for this painting before I move to my new studio. To see the whole painting, click here. 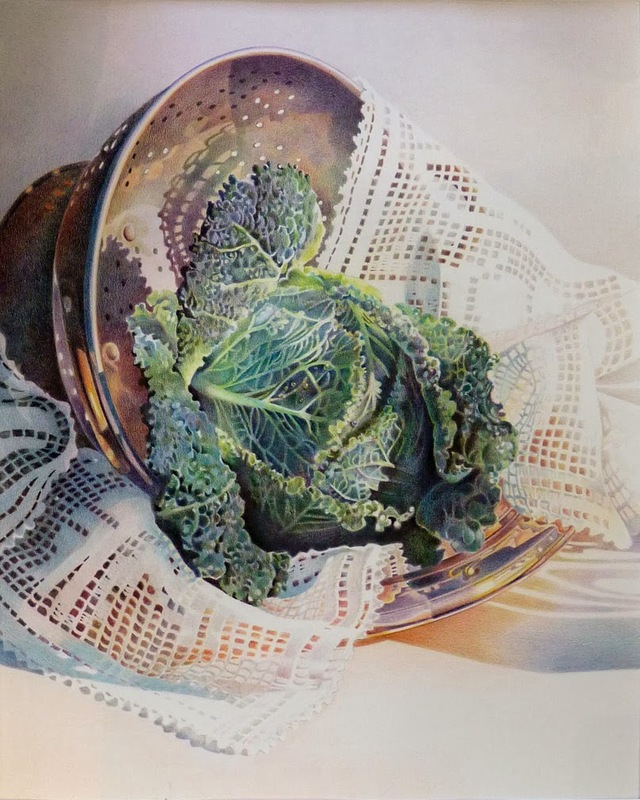 Yes, I'm on a painting sabbatical but this painting has been kicking around the studio for months, framed temporarily until I decided how to resolve it. Today, I spent just a few minutes warming the lights with a yellowy white and added golden fall foliage. 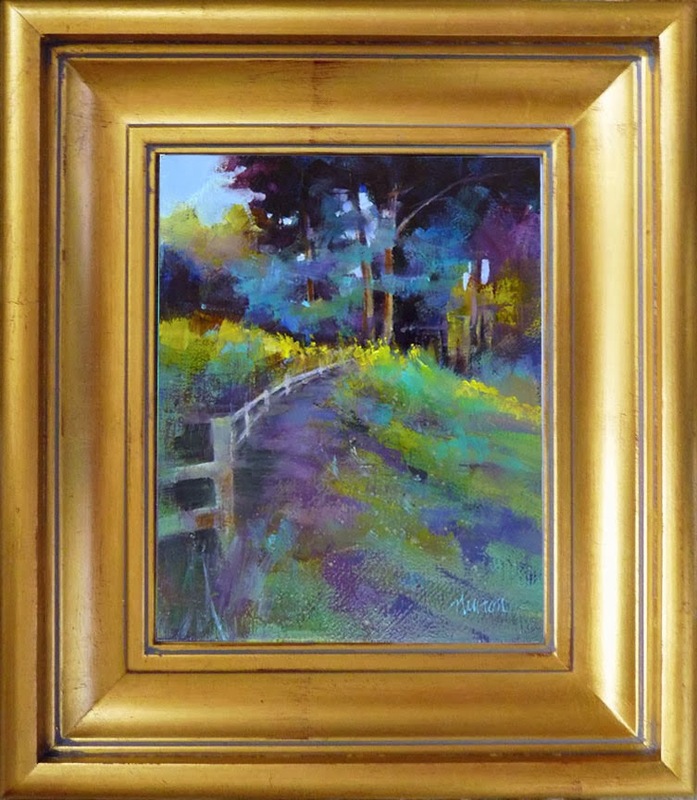 Back into the frame, it is titled "November," of course. 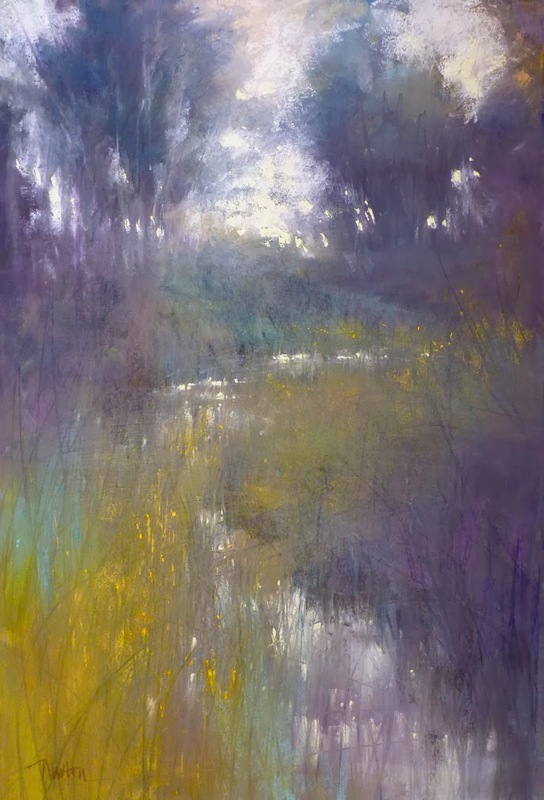 Pastel, 17.5 x 11.5 inches.